The solution describes a pilot process in Brazil with the aim of integrating climate change risks and opportunities as well as ecosystem-based adaptation measures into the management plan of the protected area “Cananéia-Iguape-Peruíbe”. This area is part of the “Mosaico Lagamar”, a network of conservation sites in the Atlantic rainforest. The solution provides insights into the approach and its methodological aspects as well as concrete indications for replication in other protected area planning processes. The Mata Atlântica is home to over 120 million people and is the engine room of the Brazilian economy, generating more than 70 % of the nation’s economic output. 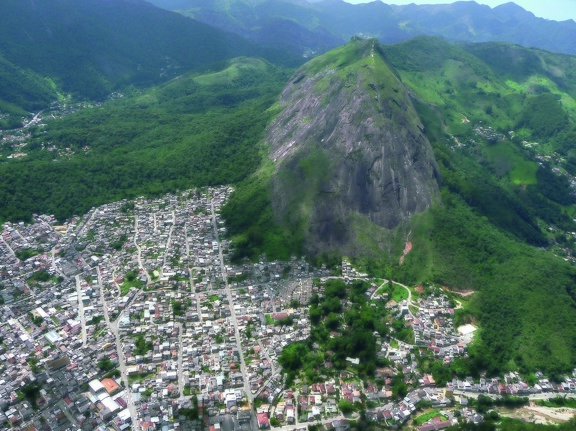 The region is an important biodiversity hotspot, despite the fact that it includes megacities such as São Paulo and Rio de Janeiro. Overall, about 22 % of the natural vegetation in the Atlantic coastal forests has been preserved, and the deforestation rate is stably low. Nevertheless, high degrees of fragmentation among the remaining forested areas continue to jeopardize the maintenance of biodiversity and ecosystem services. Extreme weather events such as floods and long periods of drought have had devastating socio-economic consequences for the population and the economy in recent years. The challenge in this biome lies in the conservation and restoration of natural forests in order to secure the ecosystem services that are important for life and business, such as the supply of drinking water to the large metropolitan areas. Building block (BB) 1: Methodological approach for integration of climate change and EbA into protected area management planning is the centre piece of the solution. It provides the guidelines for the implementation process (BB 3: Participatory process design and implementation), while BB 2: Institutional anchoring and broad-scaling is one of the expected outcomes of the initiative. 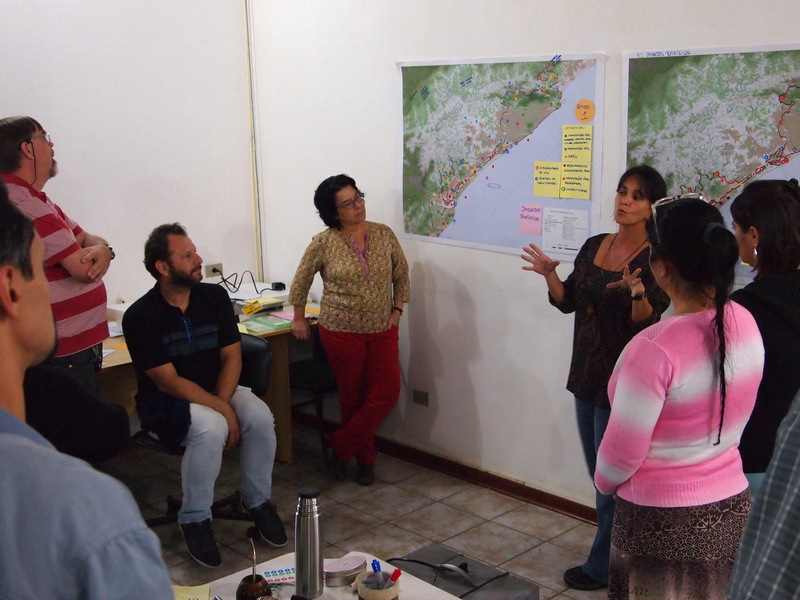 The participatory process and continuous capacity development paved the way for the development and implementation of the methodological approach, while its transfer to other protected areas is key to further anchor it in protected area planning in Brazil. Technical staff and inhabitants are aware of climate change risks and the potential of EbA measures in the protected area. Capacities for the identification and implementation of EbA measures have been strengthened. The administration team of the protected area now has a modern management plan which features prominently the maintenance of ecosystem services inter alia trough EbA measures. Its implementation will contribute to the reduction of climate change risks and enhance synergies between climate change adaptation and biodiversity conservation measures. A methodological guidance suitable for replication in other areas is available. The experiences and lessons learned as well as conceptual and methodological aspects from this pilot experience will be taken into account during the elaboration/updating of 11 additional management plans in the next two years. The Mata Atlântica Project began its activities in the Lagamar region (São Paulo's southern coast and Paraná's coast) in 2014 with a capacity development program on EbA: Staff members of the protected area “Cananéia-Iguape-Peruíbe” (APACIP) and of other partner institutions were trained on the basics of EbA. The endeavor started with the discussion about potentials for EbA in the region and ways and means for implementation. As a result, the management plan of APACIP was the first to integrate EbA measures and the easy to use working methodology will hopefully serve others as a theoretical/practical reference. “My involvement with the theme of ecosystem-based adaptation [in Spanish: AbE] began during the AbE course, held in July 2014 in Cananéia, São Paulo. Later I participated in the Training of Trainers course in AbE held in September 2014 in Brasília DF (Federal District). After participating in the course, and due to the proximity, I proposed the insertion of the AbE approach into the elaboration process of the Management Plan of APACIP. The participants of the process were the representatives of the community of users, managers of protected areas, researchers, entities of the public administration among other actors.The approach has resulted in rich contribution in people's perception of climate change and its effects on their daily activities, as well as in the processes of identifying potential environmental impacts and in proposing alternative solutions to the most probable impacts. In conjunction with the local community leaders, possible adaptations based on ecosystems were diagnosed according to their perceptions about the climate change, and were inserted in the content of the Management Plan. Particularly, I believe that the elaboration and publication of the APACIP Management Plan including EbA was a happy effort by professionals and people interested in the management of APACIP's natural resources, in a rare window of opportunity in public administration, culminating in a basic planning document , with the potential to boost advances in the territorial management of the estuarine mosaic of Cananéia, Iguape, Ilha Comprida and Peruíbe”. This solution is published in the Ecosystem-based Adaptation and Protected areas portal.